Slate has handily identified all the people in last week’s Colbert Report finale. 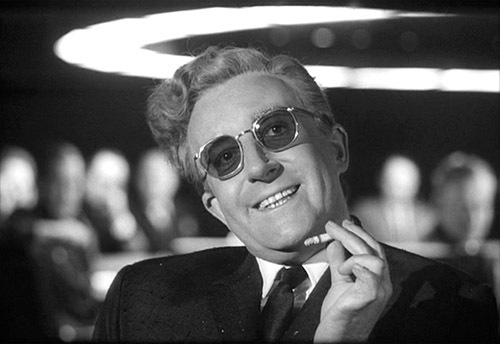 Me, I was waiting with bated breath for Peter Sellers, Slim Pickens, and George Scott to show up, mebbe a nuclear explosion or six. But no, it was in no way a nod to another brilliant satire, fifty years old this year, that in its finale used the same theme of immortality for the elite and the same song. It had to be all about Stephen. T’huh. Typical. 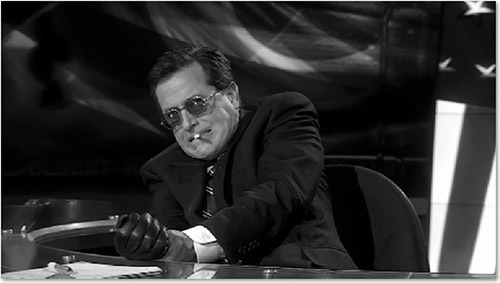 This entry was posted in Television and tagged Dr. Strangelove, Stephen Colbert, We'll Meet Again.